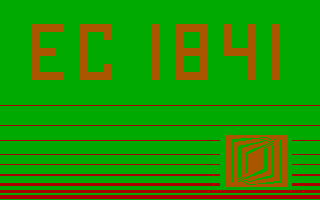 It's the "&#1069;&#1083;&#1077;&#1082;&#1090;&#1088;&#1086;&#1085;&#1080;&#1082;&#1072; 15&#1048;&#1069;-00-013" (transliterated: 15IE-00-013), and is not emulated. There's a technical manual, not sure if ROMs are already dumped. Photos of the board set: http://asvcorp.ru/darch/hardware/pdp/fryazin-display/index.html (from top to bottom: CPU, program ROM, character generator ROM, RAM, I/O board). Last edited by shattered; 06/04/12 07:20 PM. Well it should be Elektronika-60 as main machine and this one as terminal. Last edited by shattered; 06/04/12 06:17 PM. Right, and instead of E60 there could be another PDP-11 clone, possibly a DVK (roughly translated as 'Interactive Computing System') -- a desktop. In fact, it's a DVK in the photo. Electronika MS-1502 (transliterated name), 'mc1502' driver. Not quite a PC XT, not quite a PCjr -- designed to be cheap like the latter, but has none of its extensions (no fancy sound or 16-color mode). - Has single 16 MHz crystal, thus the CPU and timer clocks are higher (5.33 and 1.33 MHz). - No keyboard controller, key matrix is connected to second i8255. - Base system has 128K memory on board (96K available to the user); with the expansion installed, user memory is 608K, not 640K. - CGA implementation has more video memory (32K), which is shared with system memory; there is space for 4 fonts in the chargen ROM, but only one is present (at 0). - Has two cartridge slots for expansion. There are at least three (extra 512 KB of memory, a BASIC ROM and a FDC). - FDC -- uses a FD1793. - Serial port -- uses a i8251. Software: SF-DOS ('Sigma Four', a MS-DOS clone); OTS ('One Track System', an OS for 128KB systems). Base system shipped software on cassettes. Last edited by shattered; 06/04/12 09:49 PM. Speaking of Soviet hardware, I understand the Agat-7 (&#1040;&#1075;&#1072;&#1090;-7) is another "not really Apple II compatible" (the video modes seem to be quite different from the real A2, among other things). Can anyone direct me to any kind of technical information? Also, I'm fairly certain the existing floppy controller ROM dump isn't actually for the Agat-7 as it JSRs to a Monitor ROM routine that doesn't exist on the Agat-7 (but does on the Agat-9 and on real Apples). There were two controllers versions, newer one did indeed use non-7 routine. The text following http://deka.ssmu.ru/er/agat/Hard/roms/sys7.zip says that system ROM (...SysMon7.bin) was modified by the site's owner. Last edited by shattered; 06/05/12 05:30 PM. ES-1841 (transliterated name), 'ec1841' driver. A clone of PC XT, in different form factor -- 7-slot passive backplane, no ISA connectors; bus signals are the same. Can be expanded just like XT, using a pair of transmitter/receiver cards. Either MDA or CGA video. - No memory on CPU board; memory boards are divided into banks, failing banks can be disabled. - Always ships with a MFM hard drive; relevant routines are included in main BIOS. - Custom dual-port serial controller. - Custom LAN controller (might be Token Ring). - Keyboard has extra keys to switch the layout. Technical manual haven't been found yet. M86 (CP/M-86) was also distributed with the machine, no good copies were found yet. MESS status -- POST fails memory test (probably due to unemulated memory controller) and hard disk test (because HDC is not configured in the driver); these can be ignored. Boots into DOS and is somewhat usable (Shift keys don't work, and you have to use MESS debugger to switch to Latin layout). Keyboard ROM or MCU is not dumped yet. Tests from the TPS disk mostly fail, too. The demo disk works, though :-) If you run it, answer 'l' at first prompt (it asks if you have a color monitor). Debugger trick is 'do b@418 = 2'. Last edited by shattered; 06/05/12 07:07 PM.